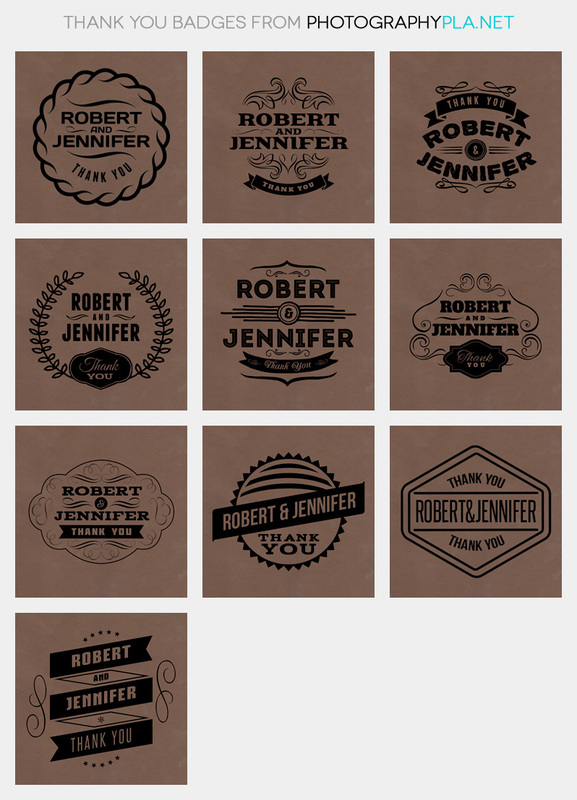 This set of PSD files allows you to easily add attractive “thank you” badges to your photos. They are ideal for creating thank you card for your wedding photography clients. You’ll get PSD files for 10 badges (created from vector shapes) that you can place on top of your photos. They can be used for web/screen and for print. Just change the text, re-size the badge to suit your needs, and place at the appropriate place on top of your photo. You can even change the colors and/or blend mode of the layers to get a different look. The badges can be used in Photoshop or Photoshop Elements.